Aaron's Adventures | Blogging my adventures in life. Blogging my adventures in life. This morning Maggie noticed we had ANOTHER bird stuck in our wood stove! I blame the insane winter weather we are having lately for the birds wanting to take refuge in our chimney at all costs. This afternoon Maggie was able to coax the bird into the box system we’ve used twice now successfully. Unfortunately, one of the flaps slid open and the bird escaped into our apartment! Chaos quickly ensued as we scramble to find a way to free it/keep it away from the cats (although it would have been fun to see them chase a live bird around our apartment for a while, maybe next time!). Somehow it got in between a chest of drawers and wall in our dining room, where Maggie was able to throw a hoodie over it and trap it temporarily. While on the floor trying to wrap it in the hoodie to help get it out of our apartment, the bird escaped and flew between Maggie’s legs and into the kitchen, where it proceeded to get stuck between the blinds and the window. 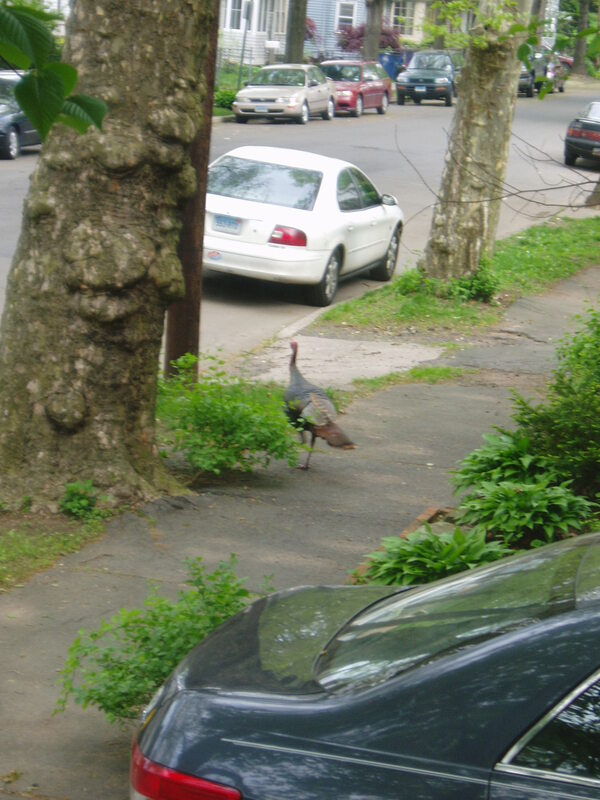 Maggie was able to grab it (while it shrieked to be freed) and rush it out the door and back into the wild. 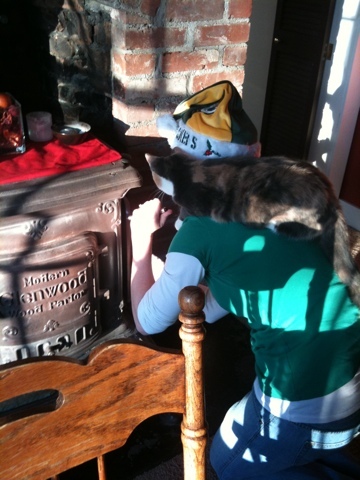 This was the scene Sunday as Maggie investigated a bird (the 2nd one in < 1 year) stuck in our stove/chimney, wearing a Packers Santa hat (the NFC Division Champ game was on), with Lucy supervising. I couldn’t help but laugh at the scene and grab this pic with my iPhone. I like the array of colors in this pic. After a couple days of waiting, we were finally able to get the bird out today. The trick we used both times was to open some holes on the top of the stove, put an open box over the hole in hopes the bird would hop up and sit on top of the exterior of the stove. For most of the last couple days the bird was in the chimney, unwilling to be coaxed out into the main stove, much less the top, but finally today it decided to explore it’s confines further, probably desperate for food or water. Once perched on the top, we then slid a folded up (and thus thin) box under the open one, thus trapping the bird between both boxes long enough to get him out side and released back into the wild. Now we can go back to the peace and quiet of a bird-less wood stove, and the kittens will no longer stare at the stove wondering what is making the racket! PA Class of 2011 Didactic year is complete! Yesterday was the culmination of almost a year straight of study and classwork for Maggie and her PA classmates at Yale as they pursue their PA degree. 40 tests up, 40 down! Yahoo! Now they have 3 weeks off before a couple weeks of training on clinical tasks such as giving IVs, drawing blood and other essential hands on skills needed before they begin clinical rotations in mid-September. Some of the guys and I celebrated with a round of golf at the Yale golf course and afterward went to a BBQ at a house some of the PA students rent together. A good way to wrap up the year for both the students and their significant others. Hopefully the next 15 months go just as well as the first 12! Does anyone read my blog any more? Or do you get your status and photo updates of what Maggie and I are up to enough through other means such as Facebook? 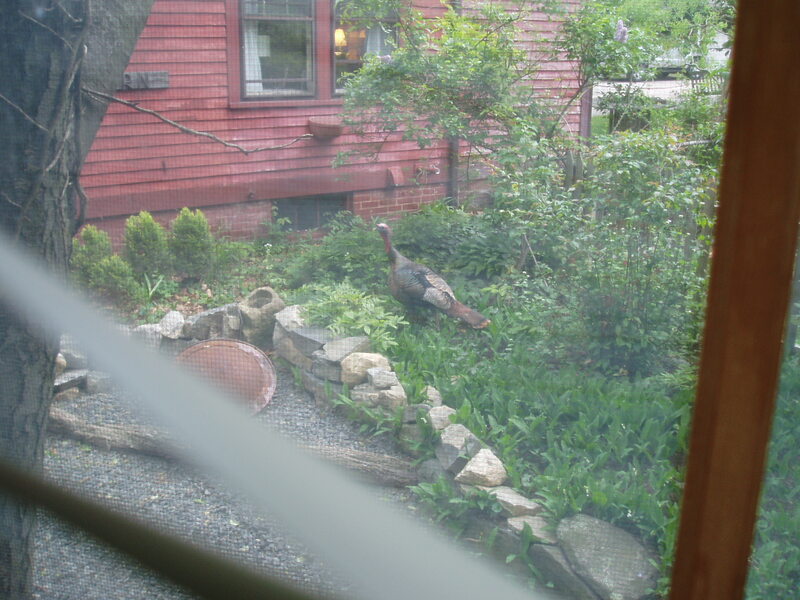 When I started this blog many relatives weren’t on Facebook, but now most of them are. Aaron: is it just me, or did you hear a turkey gobbling? 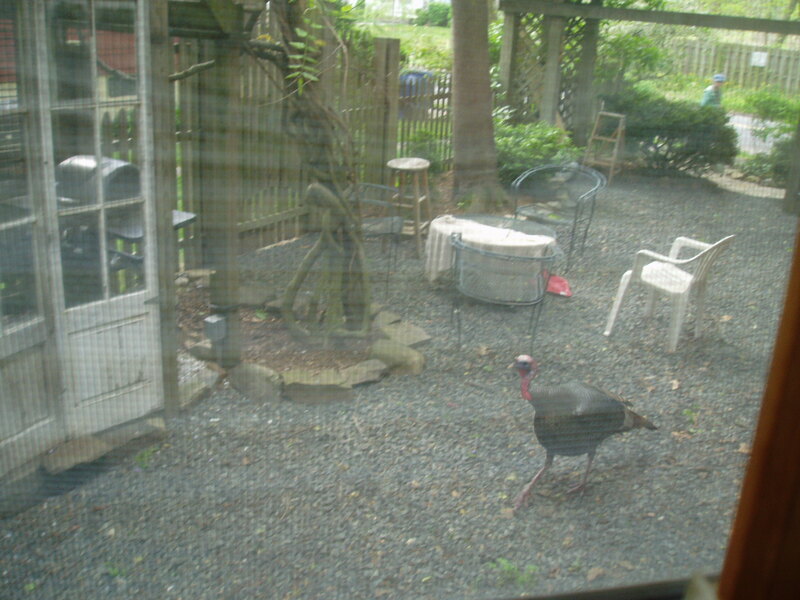 Aaron: (5 secs later) Come quick, there’s a turkey walking through the courtyard!